Primary Politics NPR coverage of Primary Politics: Everything You Need to Know About How America Nominates Its Presidential Candidates by Elaine C. Kamarck. News, author interviews, critics' picks and more. March 23, 2016  Author Elaine Kamarck explains superdelegates, the difference between caucuses and primaries, what happens in a brokered convention and how the rules of primaries can sometimes change. Imagine for a moment that Franklin Delano Roosevelt, Dwight D. Eisenhower, and John F. Kennedy were among us once again. Then imagine that they found themselves in the middle of a presidential campaign. Despite all the new technologies now in use, especially the Internet, the campaign strategy for the general election campaign would look quite familiar to them. The goal would be to win the majority of electoral votes. States would be categorized as safe for one party or the other, hopeless for one party or the other, and battleground. Candidates would move around the country giving speeches and holding rallies in an attempt to win the electoral votes of the crucial battleground states. The goal of winning a majority of electoral votes and the strategy of winning a critical combination of states would be very much the same as it had been in their day. Suppose, however, that our three returned presidents found themselves in the midst of a campaign for a party's nomination. The object today would be the same as it had been in their day, to accumulate a majority of the delegates at the party's nominating convention. There, however, the similarities would end. The strategy for winning the nomination today bears little resemblance to the strategy of days gone by because the system is so different. For example, imagine FDR's confusion to hear people talking about momentum in February of the year before the convention. In his day momentum was a term used to describe behavior at the convention itself. Imagine Eisenhower's reaction to the news that Senator Howard Baker had given up his job as majority leader of the Senate as well as his Senate seat four years before the presidential election in order to campaign full-time. Eisenhower spent the years before the 1952 convention in Europe with NATO, arriving home in June to campaign for his nomination at the convention in July. Imagine JFK's reaction to the fact that Walter Mondale, a former vice president and favorite of the Democratic Party establishment, had to enter every single primary election held in 1984. Kennedy had to run in primaries, but only because he was viewed as a young upstart by party leaders and needed to prove his vote-getting ability before he could deal seriously for delegates. And imagine how all three men would react to a Democratic primary race in which two senior Democratic senators, Joseph Biden and Christopher Dodd, who between them had logged seventy years in the United States Congress, were never seriously considered for their party's nomination because all the attention and energy were consumed by a former first lady and a first-term African American senator! What our three returned presidents would soon realize is that winning the presidential nomination of one of America's major political parties in the twenty-first century is a whole new ballgame. Changes in the structure of the nominating system have driven fundamental changes in strategy. The structural changes originated with a reform movement that began in the Democratic Party in 1968 in response to its failure to deal with and incorporate the movement against the war in Vietnam into party politics. This reform movement had the effect of changing not only the Democratic nomination process, but (mostly inadvertently) the Republican nomination process as well. But before we look at the current nomination process and its evolution since the late 1960s, it might make sense to look back at the process it replaced. For much of American history, beginning in the Jacksonian era and up until the catalytic turmoil of 1968, the presidential nominating system was controlled almost exclusively by political parties. The system had some public features, but it was primarily a private, intraparty affair. For most of this time, getting the nomination meant winning the allegiance of enough major party leaders — who controlled delegates — to accumulate a majority of the delegates at the nominating convention. Presidential primaries, the most visible and public part of the campaign, were not an important part of this process. The real race for the nomination was conducted either totally in private or in the semi-public arena of local caucuses and state conventions. While the process differed from state to state and from party to party, the outlines of the nominating system were similar. Every four years, local party officials, precinct leaders, ward leaders, county chairmen, and others would participate in a series of meetings throughout their state that usually culminated in a state convention. At that point the assembled party leaders would choose a group of (mostly) men to attend the national nominating convention. If the state party happened to be controlled by a particularly powerful party "boss," often a big-city mayor, a governor, or a senator, he would have sole discretion in the selection of delegates. If there was no dominant party leader, the selection of delegates would be privately negotiated by party officials and elected officials. Presidential primaries were invented as part of the Progressive Era reforms that took place in the early decades of the twentieth century. They were meant to bring the nomination process at all levels, not just presidential, out of the backrooms of political parties. It was the invention of primaries that caused, for the first time ever, state legislatures and state laws to be involved in the process of nominating candidates for office, since some states enacted legislation requiring primaries and then provided public money to pay for them. Thus from the Progressive Era through 1968 the presidential nominating process had two stages. 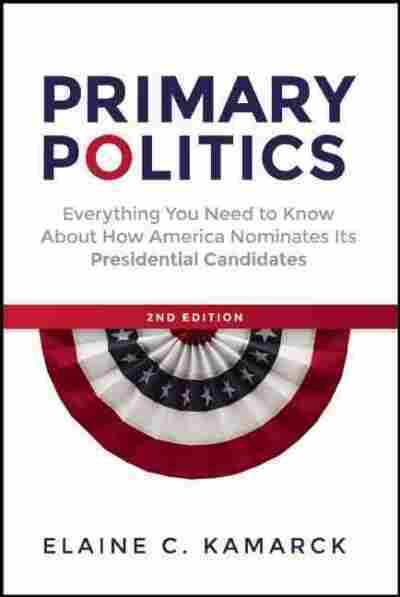 The first stage involved competition in a small number of presidential primaries. However, such common practices as electing delegates pledged to favorite-son candidates (whose only goal was to wield influence at the convention) and electing delegates who were pledged to no candidate at all, meant that party leaders maintained firm control over the convention delegates. More often than not, presidential candidates didn't even put their name on the ballots of primaries. The primaries were thus largely irrelevant to the outcome of the old-fashioned nominating contest. They were sometimes used strategically — to demonstrate a presidential hopeful's vote-getting ability, for instance; but as two famous scholars of presidential elections point out, this meant that in the pre-reform era, running in presidential primaries was often a sign of weakness, not strength. Writing in the 1971 edition of Presidential Elections, Nelson Polsby and Aaron Wildavsky sum up the role of primary elections in the pre-reform era as follows: "Primary activity is often (although by no means always) a sign that a candidate has great obstacles to overcome and must win many primaries in order to be considered for the nomination at all." The second, and more important, stage of the old-fashioned nomination system involved intense negotiation between the serious national candidates and powerful party leaders. Decisionmaking power rested firmly with the party leaders in stage two. In 1960,W. H. Lawrence, a political reporter for the New York Times, used the image of the proverbial smoke-filled room to describe the nomination race: "With the end of the contested presidential preference primaries, the struggle for the nomination has moved from Main Street to the back rooms of individual party leaders and state conventions dense with the smoke of cheap cigars." Eight years later, in the last of the old-fashioned nomination races, James Reston described the fight for the nomination as follows: "This presidential election is being fought out on several levels. The most important of these, so far as nominating candidates is concerned, is the least obvious ... the underground battle for delegates." To understand just how different the modern nomination system is, consider the case of Senator Estes Kefauver of Tennessee. Kefauver was an unusual senator for the 1950s. A liberal from Tennessee, he defeated the famous political machine of sometime U.S. representative and Memphis mayor Edward Crump — an achievement few Tennessee Democrats could claim — to win his 1948 bid for the United States Senate. In 1951, just as thousands of Americans were buying their first televisions, Senator Kefauver conducted a series of hearings on organized crime. The Kefauver hearings made for gripping television. They introduced midcentury Americans to the Italian mafia and a world of colorful and violent gangsters, the real ancestors of the fictional Tony Soprano. The hearings turned Kefauver into a household name. In 1952 he decided to run for the Democratic nomination for president. Kefauver beat the sitting Democratic president, Harry Truman, in the New Hampshire primary. All in all, he entered and won twelve of the fifteen primaries held that year, campaigning across the country in a coonskin cap. By the time the Democratic convention began in July 1952, Kefauver had received over 3 million votes, compared to about 78,000 votes for his chief opponent, Adlai Stevenson. But Kefauver's national fame did not translate into the affection of his peers, and in the old-fashioned nominating process, that was what mattered. Delegates were controlled by powerful politicians, not primary voters. Kefauver's hearings had ended up taking down some fellow Democrats, such as the Senate majority leader from Illinois, Scott Lucas; former governor Harold G. Hoffman of New Jersey; and Mayor William O'Dwyer of New York City. In addition Kefauver was one of only three senators who refused to sign the so-called Southern Manifesto in 1956. (The others were Senate Majority Leader Lyndon B. Johnson of Texas and fellow Tennessee senator Albert Gore Sr.) Despite his national fame, Estes Kefauver was too much of a maverick for the party. Blocked by party bosses and opposed by President Truman (who did not run), Kefauver lost the nomination to Adlai Stevenson on the third ballot. Four years later, he failed in his second bid to become the Democrats' nominee, but was awarded the second spot on the ticket as a consolation prize. In 1960, by contrast, Senator John Kennedy of Massachusetts used stage one of the nominating system, the presidential primaries, to convince the party bosses who ruled stage two that he could win a general election despite his Catholic faith. This was his sole purpose in filing for a series of primaries, and the investment took time to pay off. The "Political Notes" columns in Congressional Quarterly for the summer of 1959 report on a very active John Kennedy and his lieutenants traveling from state to state trying to block favorite-son candidacies that could deprive Kennedy of his chance to prove his vote-getting ability in the primaries. On April 5, 1960, Kennedy won the Wisconsin primary, but not in a way that would convince the people who mattered that he could overcome anti-Catholic prejudice. As Theodore White tells it in his famous book, The Making of the President, 1960, "The break of the popular vote would convince none of the bosses who controlled the delegates of the East that he was a winner. He had lost all four predominantly Protestant districts. ... His popular margin had come entirely from four heavily Catholic areas. ... They would be read, he knew, wherever men read politics, as a Catholic-Protestant split." Kennedy's loss in Wisconsin's Protestant districts meant he had to look for another opportunity to put the Catholic question behind him and convince the powerful bosses who could deny him the nomination that it would not be a problem in November. A month later he found his opportunity in West Virginia, where his decisive victory over Hubert Humphrey effectively ended Humphrey's presidential ambitions and gave Kennedy and his people the ammunition they needed to convince party leaders that a Catholic could win in a non-Catholic state. Thus for Kennedy the primaries were important to his negotiations in stage two. Yet four years later, the success of Barry Goldwater's insurgent campaign for the Republican nomination demonstrated once again the irrelevance of primaries. Rather than appeal to primary voters, Goldwater's campaign focused on capturing the party machinery from the grass roots on up. In his book on Goldwater, Stephen Shadegg points out that Goldwater had been effectively cultivating the loyalties of the precinct committeemen and county chairmen who chose delegates for more than six years before 1964. Similarly, John Kessel recounts an October 1961 meeting in Chicago at which a group of conservatives, led by Republican strategist Cliff White, decided to encourage other conservatives to "run for precinct, county and state party positions of little visibility which would allow them to select conservative delegates in 1964." As journalist Robert Novak pointed out, "The new Goldwater style of pre-convention politics did not waste time on winning over county and state organizations, but concentrated on actually taking over the county and state organizations by an inundation of Goldwater volunteers." In contrast to today's highly visible process of electing delegates in primaries and open caucus systems, Barry Goldwater's chief strategist, Cliff White, pursued a nearly invisible nomination strategy aimed at the low-and mid-level party elites who would eventually control the delegate selection process. This process largely escaped the scrutiny of the press, and what was observed was anecdotal and sketchy at best. Theodore White's comments about Goldwater's nomination are most instructive in retrospect: "All over the country, in the spring and summer months, such precinct, county and state conventions gathered without national notice. ... Like the Kerensky government, they [the Republican establishment] were unaware of revolution until the Red Guards were already ringing the Winter Palace." In circumstances almost impossible to imagine today, Barry Goldwater was able to wrap up a delegate victory by early May 1964 while losing primaries and sliding downhill in the polls. The May 18, 1964, issue of Newsweek concluded that the fight for the Republican nomination was all but over because Goldwater already had the delegates he needed — even though his support among Republican voters was down to 14 percent and he had just suffered his second major loss in a primary. Twenty-first-century voters, accustomed to the importance of presidential primaries, find the old-fashioned nomination system very undemocratic. The strength of this sentiment was dramatically illustrated in the spring of 2008, when the public discovered the existence of superdelegates — that is, unpledged party leaders and elected officials. New voters, especially, were appalled to discover that superdelegates could potentially overturn the will of the voters. Fearing that Hillary Clinton's institutional advantages and early lead among these delegates could lead her to victory at the convention, Barack Obama's campaign fed the notion that superdelegates should reflect the will of the voters. "The superdelegate spin," recalled Obama campaign manager David Plouffe,"was directed at superdelegates," in an effort to make sure that as Obama held a lead among district-level delegates, the superdelegates would follow suit. It wasn't a hard sell. In the modern nomination system the notion that party leaders would exercise their judgment, independent of the preferences of primary voters, was so abhorrent that many superdelegates found themselves rejecting their own role. Donna Brazile, a superdelegate and party strategist, told the Los Angeles Times, "My one vote shouldn't matter more than a voter who stood in a long line in the rain in St. Louis to vote," and threatened to quit her post at the Democratic National Committee if superdelegates decided the nomination race. U.S. Representative Ron Kind of Wisconsin called for scrapping the entire superdelegate system, saying that perplexed constituents had been asking him about the process: "I've always believed you've got to make participatory democracy as simple as possible. ... The whole concept of superdelegate leaves people scratching their heads. It smacks them as possibly going against the wishes of the voters." Other superdelegates sat tight and hoped that the primaries would produce a clear winner so that they wouldn't have to choose. As we will see in chapter 6, the creation of superdelegates was an attempt to restore a role for party leaders following the reforms of the early 1970s, which some felt put too much power in the voters' hands. But for the first six nomination contests following their reinstatement, party leaders played no independent role in stage two; instead they merely ratified the results of the primaries. And when it looked as if they might play such a role in the close nomination race of 2008, large parts of the public screamed in protest and treated the very existence of superdelegates as illegitimate, insisting that they follow the will of the voters.